Menar Muflihi is a junior majoring in Chemical Engineering and was the winner of our Winter Mover and Shaker scholarship. “Everybody can be great. Because anybody can serve. You don’t have to have a college degree to serve. You don’t have to make your subject and your verb agree to serve…. You don’t have to know the second theory of thermodynamics in physics to serve. You only need a heart full of grace. A soul generated by love.” -Martin Luther King, Jr. In high school spending most of my Saturdays with my volunteer group became a routine. It was a time when we all came together traveled to different parts of Michigan and even the U.S to show compassion, unity and continue to be grateful for all that we had. After graduating high school it was time for me to move to Michigan State University which is about an hour and a half from where I live and start my new journey there. East Lansing was now my new home and I didn't know how to contribute to it, I felt estranged. I started joining clubs and taking part in their volunteering services but a year later it still didn't feel like it was enough. I still felt like an outsider who didn't know what the community needed. I couldn't do the same work I did back home because every community has their own specific needs and that was something that was hard for me to understand. I felt like I wanted to take part in something to help me comprehend that and so I searched and knew there had to be a club on campus that would be exactly what I was looking for. I stumbled upon Alternative Spartan Breaks and noticed such a huge variety of service trips with great purposes and knew that their values upheld mine. After debating which trip to choose I finally chose a trip outside of my comfort zone, “Education, Sustainable Farming and Ecotourism” in Monteverde, Costa Rica. I knew that if I went to a different country where I did not even speak the language and was still able to do service that I would be able to do service when I got back home to MSU. Going in I that I thought I might not be as effective at knowing what individuals in the community needed because I didn't speak the language. I also knew that this would challenge me emotionally. 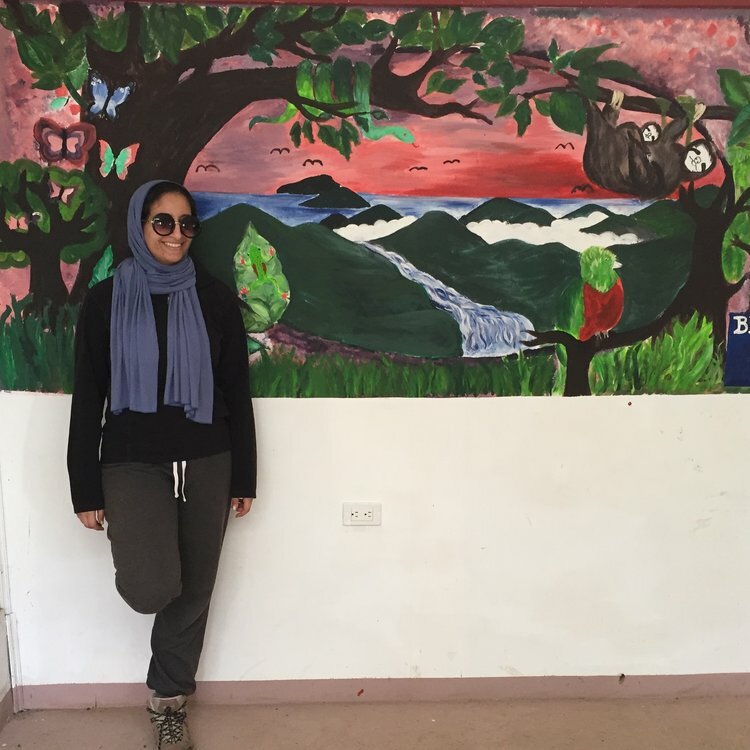 Every service project I have done has always pushed me to make changes in my life which made me appreciate the trip even more and I was excited to see how this trip would give me a new perspective. In Costa Rica the first thing I learned was to actually stop and notice how beautiful, happy and simple everyone's life was. The amount of knowledge I came back home with really inspired me to be more conscious about our environment. I never realized how many different ways we can save the planet for future generations. Working side-by-side with the coffee pickers and trying my best to communicate with my hands was probably the funniest part. They worked from 6am-3pm and still came to the English classes that were offered from 6pm-7pm. Even though we were teaching them English I think they taught us more about hard work and I have never had more respect for anyone else. I spent time with a young man teaching him about 15 body parts in English and he memorized them all in less than 45 minutes. At that moment my heart was ready to explode and I had a smile on for the rest of the night. I went in thinking I was not going to be as effective because I couldn’t speak Spanish and was wrong. As soon as I got home I knew exactly how to make East Lansing my new home.